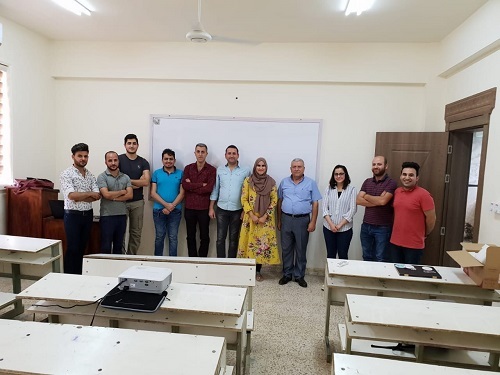 The course director and supervisor, Mr. yohanna Yousef Towaya, affirms that what the participants receive in the course is linked to the needs of Nineveh plain to apply scientific skills and competencies in support of sustainable development. 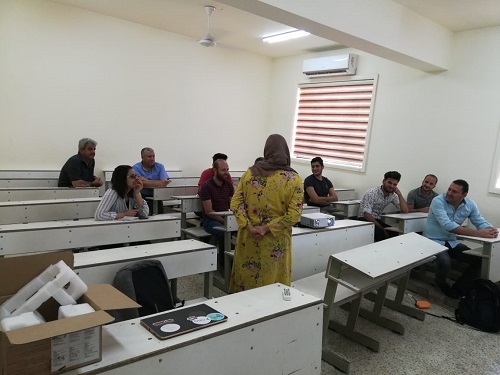 The training course held at the Mar Polus House for Church Services in Al-Hamdaniya, Qaraqosh, in Nineveh Plain on Saturday, 22/9/2018. 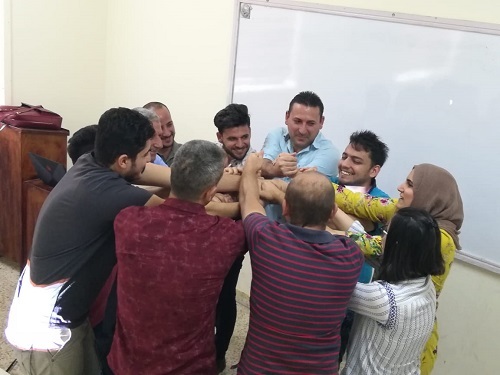 The opening ceremony of the three-month training course was attended by Mr. Louis Marcos Ayoub, Vice President of Hammurabi Human Rights Organization, Mr. yohanna Yousef Towaya Head of the organization branch in Erbil , Mrs. Zahra Shah, Director of the Recoded Programs in Iraq. 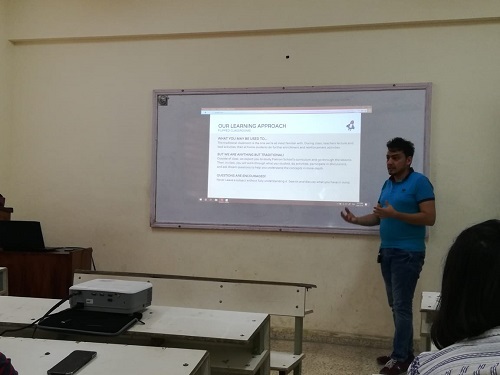 Mr. yohanna Yousef Towaya opened the session with a speech in which he noted the importance of this training activity because it is related to the needs of Nineveh Plain to human elements with modern technical features and skills required by sustainable development. 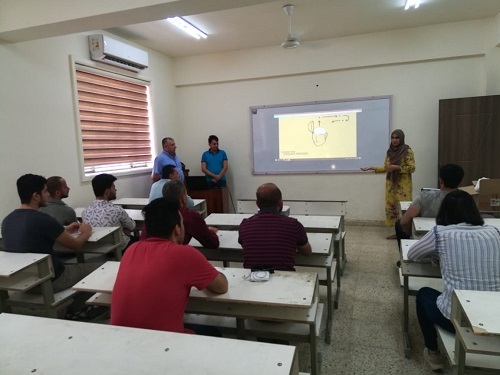 He added that this session include applied scientific lessons received by the participants would fill some of the shortage of expertise and human competencies, as well as it opens the way for the formation of a base of technical knowledge to meet the requirements of life in general, stressing that Hammurabi Human Rights Organization, which adopts this type of training projects Is based on a clear commitment to the principles of rehabilitation and training as they represent the basis of any sustainable human development. Therefore, these activities will continue to expand the competency base. For her part, Mrs. Zahra Shah expressed her pleasure in cooperating with Hammurabi Human Rights Organization as a multi-activity organization depending on field of life in providing services to citizens according to the prevailing opinion. The applied scientific rehabilitation of electronic software is one of the scientific rights that citizens should receive. It is to be mentioned that the training course will last for three months and the closing ceremony will be held on 30/12/2018. The course will be attended by (9) citizens who have been granted the opportunity to join the course after tests conducted on 40 participated persons.